Sometimes we avoid going to restaurants in an upmarket locality assuming that they may be expensive. We would never plan for such kind of restaurants until somebody offers a free meal (read it as party). 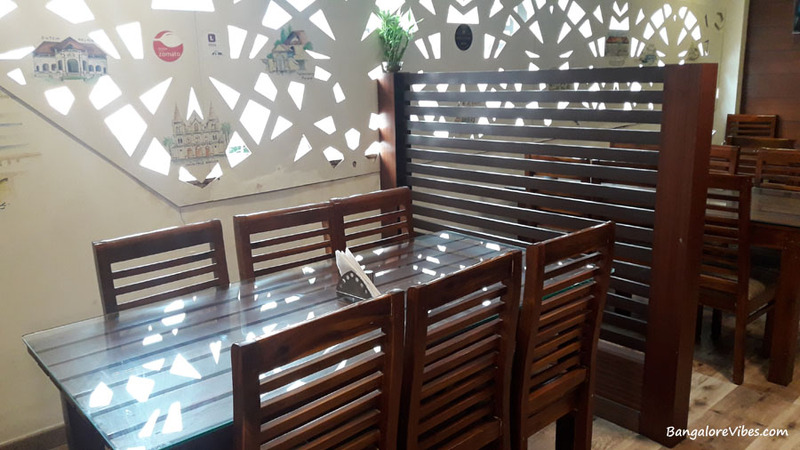 Later we talk about the restaurant experience within the family and friends circle and may plan for another visit with them depending on our experience. The Bangalore’s Saint Marks road is a busy stretch with slow moving traffic and lots of office goers and students walking on the pavement. This road is about few hundred steps from our office. Occasionally we walk until here for our lunch shuffling between the restaurants according to our eating moods. Usually it is Amruth or Gundappa Donne Biryani center. 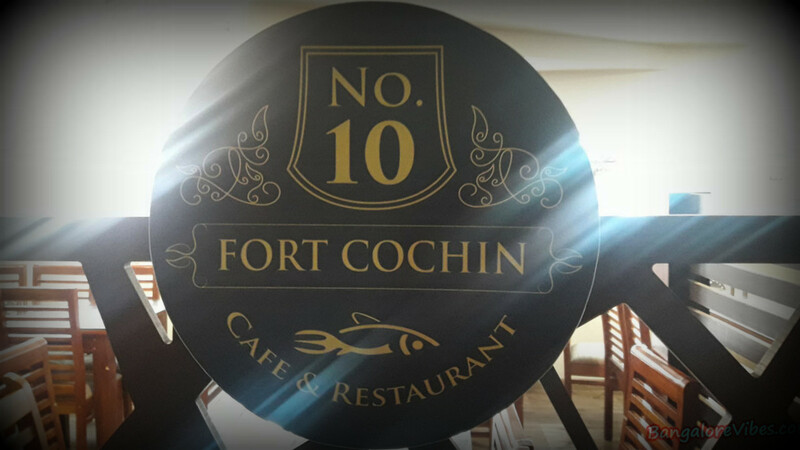 I had seen the Fort Cochin restaurant then. 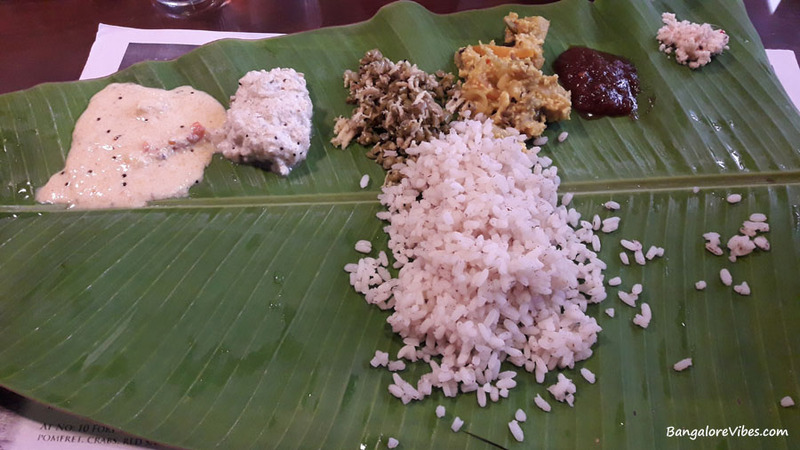 A surprise lunch with my colleagues in Fort Cochin NO 10 restaurant gave an opportunity to taste the authentic Kerala Sadya with fish curry. The food was so good that I almost planned for a second visit. The availability of parking space in St Mark’s road is always uncertain. If you get a car parking there, you had been lucky for the day. Lucky we are that our office is nearby to this place. I am sure many would go confused after seeing the menu listings. Especially those who are new to the restaurant or to the Kerala cuisine. I did go confused and had to take staffs help to order my food. 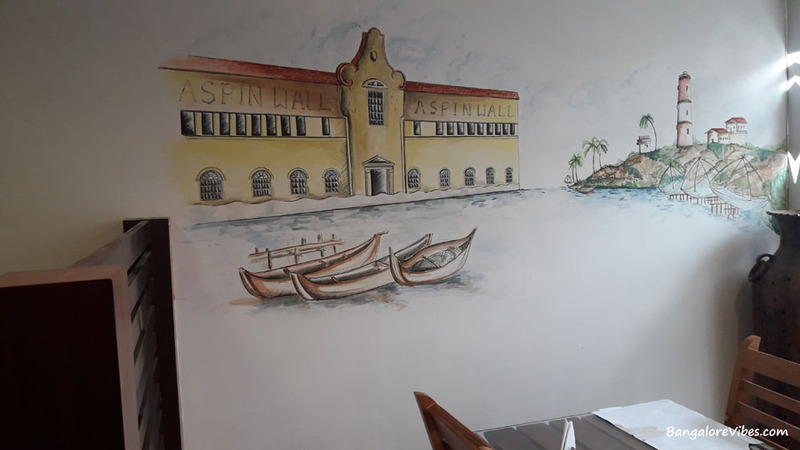 I wished for a Fish-Curry-Rice, a popular combination in the coastel region and the restaurants that originated from there. I cannot forget my fish-curry-rice experience in Summer Sands Beach Resort in Ullal (Mangalore) I had couple of months ago. Unfortunately, the combo was not available in the menu. 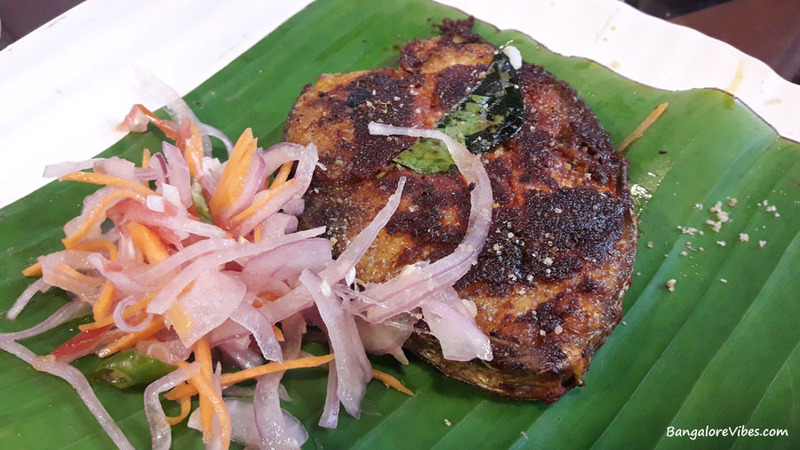 The staff suggested Kerala Sadya with optional fish fry or fish curry at Rs. 312 +GST. We all opted for the Kerala Sadya and the non-vegans ordered for one serving of fish fry or curry as per their wish. The plantain leaf came to our table in no time. The staffs started placing the dishes one by one starting with pickles. There were two varieties of rice. The Kerala boiled rice or par-boiled rice and the ordinary rice. I went for both! The par-boiled rice also known as matta rice is healthier when compared with other varieties. It is rich in nutrients, especially magnesium that is beneficial for nervous system. It did go well with the fish curry, awesome combination. Our meal in the Fort Cochin restaurant, at the St Mark’s road was worth for the day. A must visit for those who love Kerala Style Food. 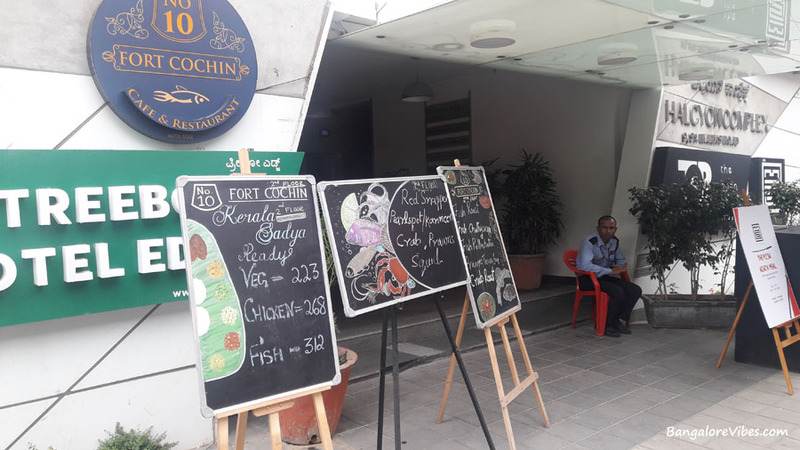 Thanks for my colleagues who took me to the Fort Cochin Restaurant No 10 in St. Marks Road, Bengaluru.